Their name changed again to the Madison Area Chamber of Commerce in 1976. The MACC established ownership of its current building, at 301 E. Main Street, in 1998. 1926: Clifty Inn Hotel: Chamber, who dedicated the new building, holds an opening on Madison Day for the public. 1937: Chamber located a new rug factory, Superior Textiles Inc. in an old brewery building on Park Avenue. The Chamber also secured a new factory, located in the old Schofield woolen mill. Chamber arranged for the Liberty Bell to visit Madison on its weeklong tour of Southern Indiana, “in connection with the current Independence savings bond…” Chamber President, Herbert Copeland, acts as master of ceremonies. MACC hosts a fourth “organizational meeting of representatives of southern Indiana’s 42 counties…” at Clifty Inn in order to adopt a constitution with by-laws following state nonprofit charter laws. 1954: Plans for a national manufacturer of hydraulics lifts to establish a unit in Madison. MACC suggests that a plan should be set up for the “retention of historical buildings and landmarks” in Madison, citing the Sullivan house, the Shrewsbury house, St Paul’s Lutheran Church, the Costigan home, St Michael’s Church and other local homes and buildings. MACC’s transportation committee meets with Congressman Lee Hamilton and Senator Vance Hartke to “discuss the fate of the Penn Central Railroad.” PCR was approved by the Senate for a multimillion aid in its bankruptcy. The concern was over it being shut down, which would affect many local industries. 1976: Discussion on changing the name of the organization to Madison Area Chamber of Commerce, which was accepted by the board. MIDCOR (Madison Industrial Development Corporation) formed. A local industrial, nonprofit base that promotes economic development. The Southeastern Indiana Small Business Development Center officially opens, which is a “resource for prospective small businesses and for small business already in operation. It will provide…counseling, training, workshops and seminars, as well as written materials.” SBDC was developed through the efforts of MACC. First Youth Leadership Jefferson County, a youth program designed to bring high school and college students together to “learn about leadership and how to make their communities able to meet the needs of the future,” a success. The Lilly Endowment started EcO15 (Economic Opportunities through Education) with $26 million in grants to the Columbus-based Community Education Coalition and $12 million in grants to the Heritage Fund-The Community Foundation of Bartholomew County, also in Columbus. The grants were to be used on behalf of 10 counties in southeastern Indiana, including Jefferson County. EcO15 was and still is strongly supported by MACC. 2010: Supports the JC Clearinghouse purchase and renovation, funded by the Indiana Office of Community and Rural Affairs (OCRA) and the Community Foundation of Madison and Jefferson County. 2012: MACC, Jefferson County EcO15 Initiative, and the Community Foundation of Madison and Jefferson County sponsor Manufacturing Day, to highlight the high-skills and technology-driven jobs available in the area. This is first time the event has been held locally, which coincided with National Manufacturing Day. 2015: The City proclaims May 4-8 as Chamber of Commerce Week in Madison for the work that Chamber of Commerce professionals do each year. City of Madison Redevelopment Commission partners with Madison Consolidated Schools with approval of significant funding of advanced manufacturing training at the Innovation Center. Chamber unites partners for Hanover College Student Shuttle program. 2016: Crafton resigns as Executive Director in January. Lindsay Bloos assumes Executive Director role. 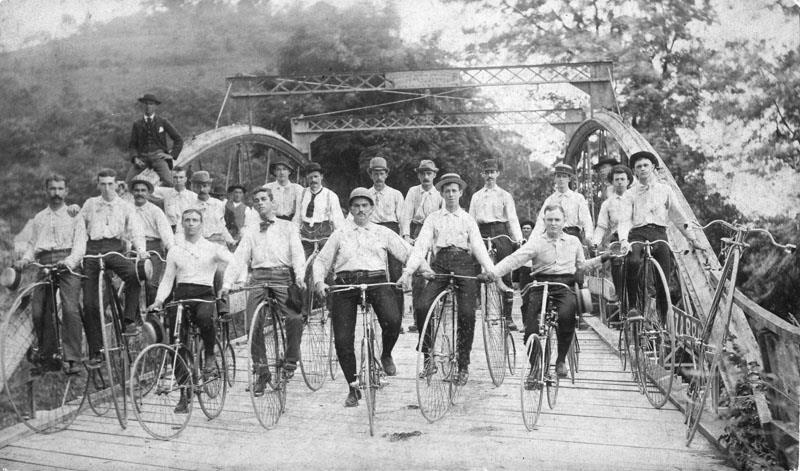 ​With assistance from MACC, the City of Madison is named a Finalist in the America's Best Communities Competition. ​Madison Area Chamber of Commerce assists in the City of Madison's planning and application process for the Indiana Stellar Communities Designation. The designation was awarded in October 2017. 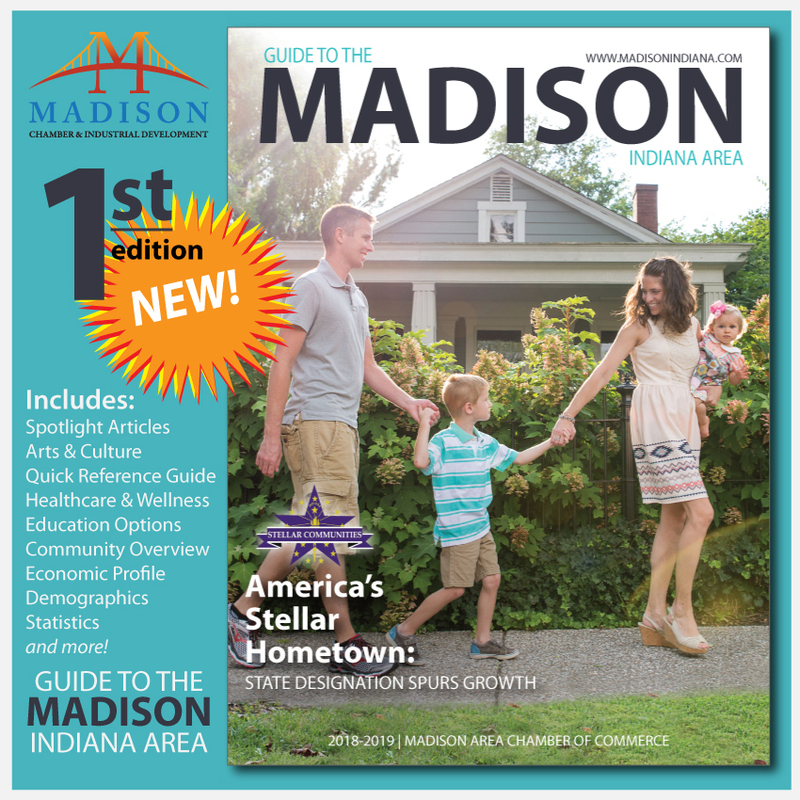 ​MACC creates the first "Guide to the Madison Indiana Area" magazine! 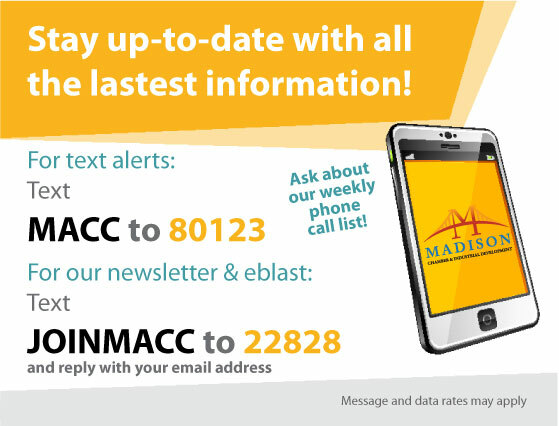 MACC creates the "Madison's Best" program, naming businesses in 35 categories. Expansion at Clifty Engineering & Tool announced: “This capital investment of $500,000+ is a direct result of expanding opportunities with our growing list of customers (Whirlpool, General Electric, Topy International, Cummins, Toyota and others). 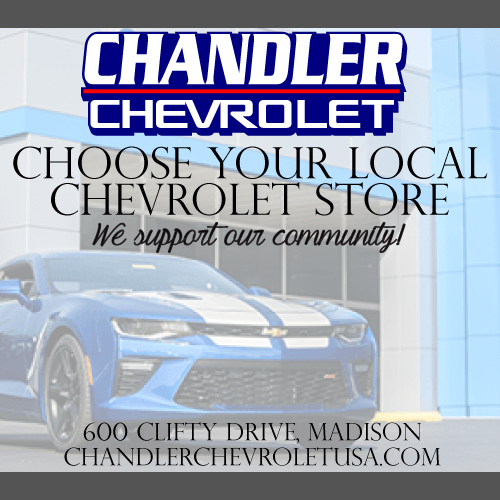 It also enables Clifty Engineering to better compete for new Advanced Manufacturing and Aerospace customers” stated Charlie Grooms, President. “These are exciting times for Clifty Engineering. We increased sales by 25% and added 14 new employees, including several new Apprentices, to the payroll in 2018. We anticipate hiring 6-10 additional new employees in 2019 to satisfy demand and better serve our customers,” added Grooms. Riverside Tower Apartments breaks ground on the revitalization of the former Tower Tack Factory. Denton Floyd Real Estate Group is investing $9 Million to preserve the historic structure and provide 50 affordable senior apartments in Madison. The project is a partnership made possible through the City of Madison’s Stellar designation and the Indiana Housing and Community Development Authority. New ATV Parts Manufacturer: Armor Plastics plans to launch operations in Madison and revitalize a vacant industrial site at the corner of Clifty Drive & State Road 7. Armor Plastics plans to invest $13.4 Million to purchase, redevelop, and equip the more than 145,000-square-foot-building. Riverton LLC announced plans to rehabilitate the historic Eagle Cotton Mill building along the Ohio River in downtown Madison, transforming the vacant industrial site into an 80-room boutique hotel and conference center. The 104,000 square-foot building was built in 1884 and served as a twine and fabric factory, closing in 1937. It was later purchased by Meese Inc. which occupied the property until the early 1980s. Riverton plans to invest more than $21 Million with an initial commitment from Marriott Hotels. Construction is expected to be complete in the summer of 2020. The project was made possible through IEDC Industrial Recovery Tax Credits and the City of Madison’s Stellar designation.